Design with OAB® and Hybrid. What is your VPI? 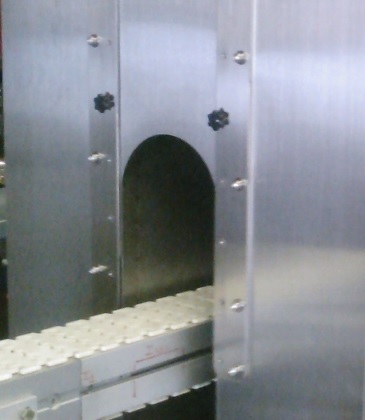 OAB® Continuous Steam Systems and Steam Tunnel Furnace. Steam chamber at a uniform temperature. What is Pure OAB® steam? Steam tunnels for many application. Paying 25 cents per processed part? With a proper tunnel - few cents instead. Check it out! Simple and Elegant. Multiple wall. Heat contained. Designed by thermal leader MHI. Simple lift off. Light weight. Modular - Each Zone is three to five feet. Steam generated by the powerful OAB generator. Energy efficient. Turn OAB®on and off. No need to idle. Move OAB® across various SW lines if required. Save energy and reduce belt wear. Now offered with GOLDENBLUE smooth oxy nitride high lubricity. Easy adjustment by flaps and height adjusters for entire tunnel when required. Intuitive Design - graduated indicators simplify setups and adjustments. Use with 12 kW OAB® steam. Overcome the energy disadvantage of traditional 150kW- 300 kW (15-30 BHP) Boilers. Reduce your cost per label. Your part could be tested for you free. Rapid labelling even for filled bottles and for bottles with unusual curvature has never been easier. Transitions to high ~90% savings is feasible. Several indicators including water flow are provided. 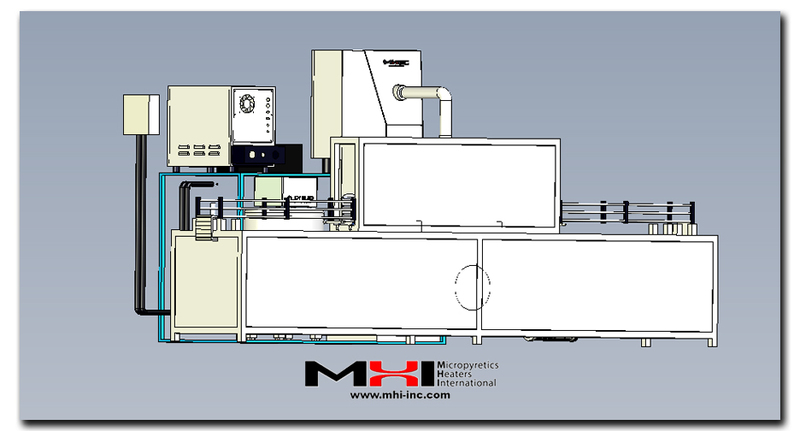 MHI is a leader in high temperature hybrid designs for batch and continuous loads. Contact MHI for simple design criteria for continuous loads from textile, packaging, food cleaning to metals. Rapid labelling even for filled bottles and for bottles with unusual curvature has never been easier. Transition to wards high 90% savings in energy and water even with complex bottles. What is the yearly Operational Benefit of a Superheated 16kWSteam Generator vs 300kW Traditional Boiler? Explanation of VPI (Value Performance Index) for cost comparisons. What Are Shrink Film and Textile Materials Made of? PTFE (Fluoropolymer) have a wide operating temperature range (-55 to 175°C), a low coefficient of friction, and high resistance to chemicals and punctures. The closely related PVDF (Polyvinylidene Fluoride) materials are intended for high temperature applications. PP (Polypropylene) is a tough, general-purpose film that shrinks at relatively low temperatures but represents somewhat older technology as regards to shrinkage amount and other factors. Polyolefin is the most common kind. They are flexible and fast-shrinking, and manufactured in a wide range of colors (including clear). Some Polyolefin is recorded to be FDA approved for food packaging. PE (Polyethylene) is a good low cost material for bundling (combo unit). Closely related are PET or PETE (Polyethylene Terephthalate). 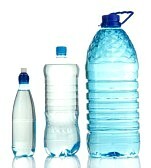 PET is commonly used for soft drink & water bottles, cooking oil bottles, peanut butter containers. It is the most widely recycled plastic. Also closely related is HDPE (High-Density Polyethylene). HDPE is slightly waxy and semi-rigid. It does not crack. It floats on water. PVC (Polyvinyl chloride) shrink film is extremely strong and clear and generally used for the hardest applications. Many vendors can supply you printed or bare shrinkage film in flat, cylindrical or any other shape you may have interest in. PVC tubes are available in several colors and can be used outdoors. 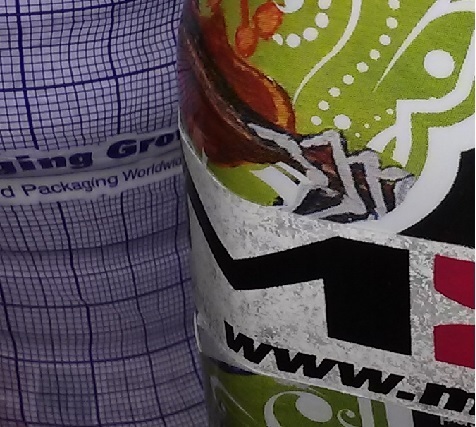 MHI can help you contact expert shrink wrap materials and label manufacturers. 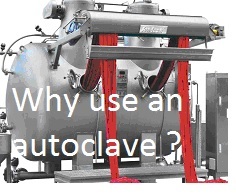 for cpg, pharma,melting polymers/sugar, conditioning food, surfaces, textile, shrink label and modifying unique alloy surfaces with high temperature pure steam and hybrids. Doing your own shrinkage wrap or labelling has never been easier or more cost effective. Moving your one atmosphere boiler from station to station is fully possible. OAB® pure steam now offers about 90% savings in energy and water over conventional boilers. With the availability of the powerful OAB® steam, label designers can now offer shape and seal features simultaneously. 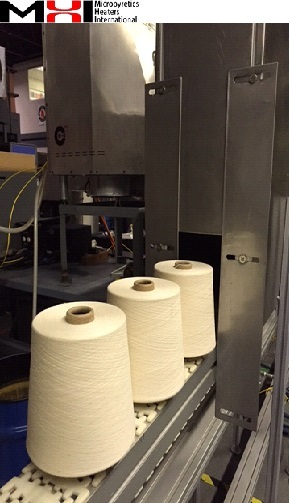 Call MHI for information on textile fibers. Feeding into SWE machine. Adding moisture to cotton fiber or for shrink wrap CPG. Cotton fibers improve their integrity with moisture. The SWE machine with the steam tunnel is easily able to do this. Save electrical usage. Paying 25¢ per bottle? Check out if the OAB steam tunnel can reduce to 2¢. For CPG, design for maximum shrinkage with complex bottles. With the right materials ~ 75% shrink in the film can be obtained with OAB steam® and PVC type shrink-materials. 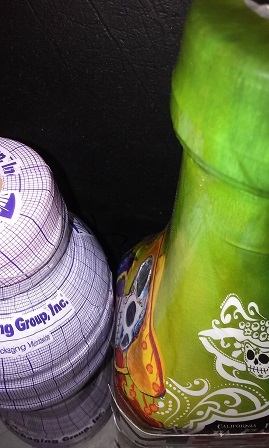 When placing a wrap over your object, please ensure that the maximum shrink position is in not beyond the capability of wrap (3:1 shrink for PVC or 2:1 shrink for older materials for wraps). Please ensure that the shrinkage is designed to minimize warping (all this means is allow the shrinkage to proceed in a direction that reduces wrinkling). The OAB steam cuts down the number of tunnels required. With the OAB® steam one has less design worries about the number of tunnels as the shrinkage happens often in less than a second. Obtaining energy efficient equipment has never been easier. Several vendors will sell you tunnels or you can use MHI designs. With OAB® steam, the steam-tunnel generally does not involve jets, nozzles or design holes inside the tunnel to contend with. The OAB® steam generators may be re-positioned at will. Cotton fiber improves properties with saturated steam exposure. Please contact MHI for improving energy efficiencies in this sector. Tunnels for for cleaning, garments/yarn/fiber, shrink wrap label on bottles, pharma clean tunnels, textiles fiber conditioning. Call MHI for details. MHI results show that OAB® steam results in a tight shrink with lesser time and better finish for even the toughest PVC wraps/labels. However as always you should verify such a claim in your specific situation. Turn on and off as required. Belts speeds vary for applications. 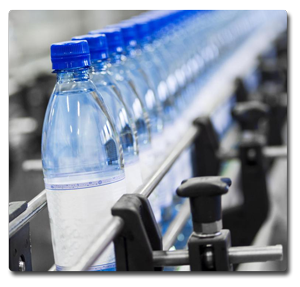 Please request a sample of the energy and water savings one may expect for standard belt speeds of about 20ft/min, standard bottles (glass included) with a PVC shrink-wrap. Contact MHI. We present below a Value Performance Index (VPI) to capture important performance criteria, both function-related and equipment-related. 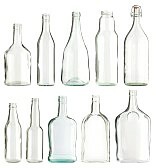 The complexity of the bottle, (material, height, curvature, etc. ), the speed of labeling and quality of sheen required determine the level of difficulty of final the product/job. If the system that you are considering for purchase can handle a very difficult shrink wrapping job, higher is the VPI. The versatility of the equipment/system depends on energy efficiency, water efficiency, safety features, flexibility such as portability of equipment, small foot-print, ease of designing around the system, and easy on-off on-demand use. 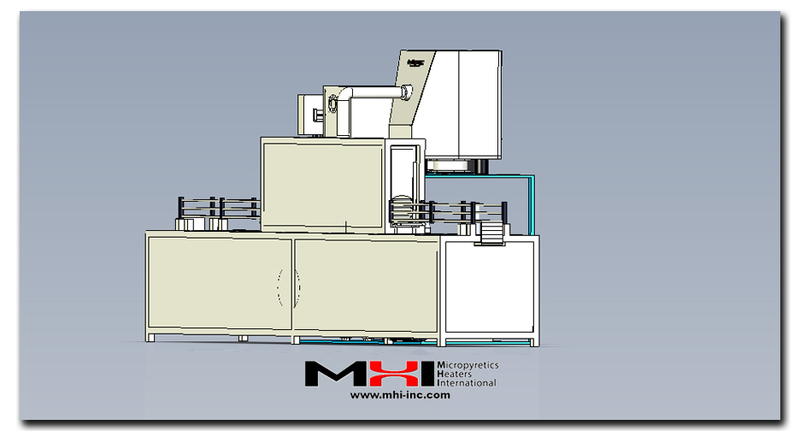 VPI is a semi-quantitative measure that has been created by MHI. Several variations are feasible in how one gauges this index, so the user is cautioned to compare this with other indices. The following VPI numbers and assumptions are provided only as a guide. Interested in using steam tunnel for disinfection or for conditioning textiles? Contact MHI. Purchasing or retrofitting a labeling system should be based on the VPI of a system. For example, if one pays $100,000 for a complete system, then one has to maximize the performance index (VPI) in that category. Alternatively, for systems with the same VPI, one would choose the system that costs less. Performance index improves with energy efficiency, scattering (shininess), water efficiency, portability, and smaller foot print. MHI’s OAB® steam systems offer all of these. If you wish to try your shrink wrap with OAB® steam, please contact MHI and provide your sample for your demo or visit MHI and run it yourself. Compare systems with the same VPI. Reflection Lengths. A higher number reflects a better PI. 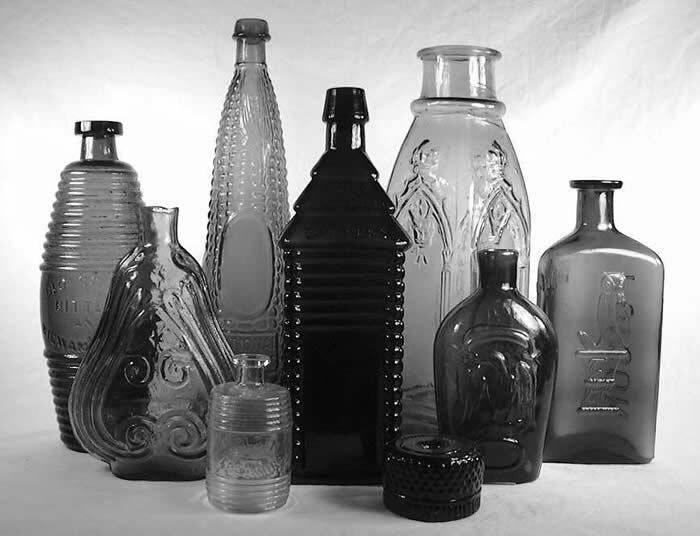 The level of difficulty increases with material to be labeled (glass over plastic), type of base-lip, number and shrink percentage of contours, concavity and convexity curvature, and how far they are spaced, etc. Depending on the load, the common belt speed is 10ft/min-400ft/Min. The performance expectation increases with energy savings demanded over conventional systems (say 85% saving in energy and water), speed requirements (say 200 feet per minute per 10 kW per object compared to 20 feet per minute per 300kW per object). Versatility rating is the highest at 5. Flexibility for example, can be high if the steam generator can be turned on off on demand, or if steam generator needs to be easily relocated, or allows the mix and match bottles in the same run. Flexibility can also increase with simplicity of design, where special tunnel technology with jets and so on is not required. For SW OAB® systems, the assumptions for the table above are that they have a high (4 - 5) versatility rating compared to a 300 kW pressure boiler steam which is given a versatility rating assumption of only 2. 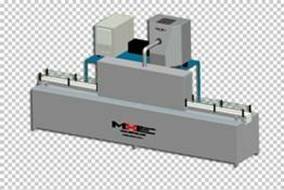 From MHI, free help with sourcing film (wrap), highly reduced set-up of machinery when you switch to the extremely energy efficient are available with the much lower price OAB® steam generators. Free help with financing - even outside the USA, where feasible. Prefer OAB® steam. Just check it out. Some of the hot-air, vacuum assisted and high pressure boiler steam disadvantages are discussed below. We recommend OAB® steam. Rapid labelling even for filled bottles and for bottles with unusual curvature has never been easier. possibilities of 90% savings in energy and water even with complex bottles. possibilities of high disinfection. Possibilities of improved cotton fibers. Use pure high quality steam. High distortion which could lead melting/burns and to a slower overall process or lower quality. Sometimes a reduced shininess of labels is noted in scattering experiments (MHI can do a laser scattering experiment for you to establish shininess for your label), Please contact MHI. Very high energy use with traditional pressure boilers. Many steps vacuum then pressure. Leads to fatigue and constant certification issues. High installation price and often a need for continued certifications. OAB® Steam Generator Is now Available for such applications. OAB® steam comes with low capital cost structure and high quality of labels. Please contact MHI. High energy efficiency savings are 50- 95% over traditional high-pressure boiler steam. For example, changing from a 80 kW * BHP) boiler to a (4-12) kW OAB® Steam Generator yields a savings in of US $60,000 - $65,000 per year @ $0.10/kWh, assuming continuous operations. Cost of changing over could be as small as $1000 per month for a normal 4 year period of purchase amortization. The return on investment is high (please contact MHI for ROI calculations). One of the additional benefits is from mix and match bottle sizes without a need to change any set-up. No need to be restricted to one belt-line either. Steam piping from boilers can be long and thus lower the efficiency of traditional steam systems. 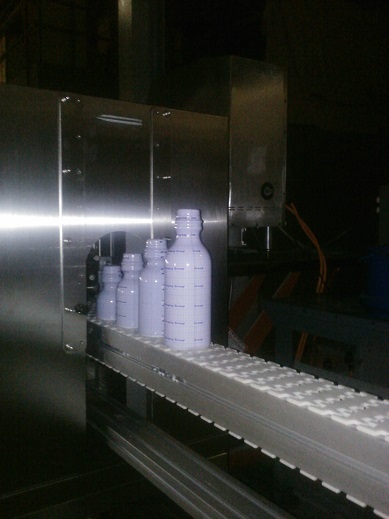 OAB® equipment can be located directly by the label shrinkage machine. 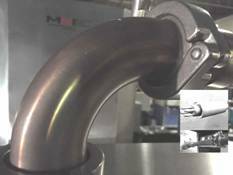 Contact MHI for easy design steps and shrinkage vs. speed. Installs within a few hours. No certifications. Relocate as desired. This return on Investment (ROI) analysis is very approximate. Savings and benefits to user could be more or less than presented above. Calculations shown are meant to be indicative and will vary for specific applications, equipment and use conditions. This is an approximate guide and the template should be modified for customer’s specific use. Interest rates, energy costs, equipment cost and other costs used in the analysis are subject to change at all times. MHI does not guarantee or warrant any specific ROI analysis that a purchaser may use in their decision making process. The responsibility for an accurate rests with the customer. MHI offers a variety of Superheated Steam Generators and Tunnels, each with a wide number of uses. Please fill out the contact form below. Please describe your application and any limitations you expect in your water inlet quality so that we may recommend the most applicable model.